Time is unique in its ability to conceal or reveal things. It can bury evidence of ancient civilizations or unearth secrets as new analytical tools are discovered and new perspectives emerge. One salient example is the assassination of Robert F. Kennedy, which took place 50 years ago this week. For a long time, anybody who questioned the official story — that a lone gunman named Sirhan Sirhan killed Kennedy — was deemed to be nuts. After all, there was no question that Sirhan was there and fired shots. Now, however, a growing number of voices are asserting that there is more to this story than we have been told. 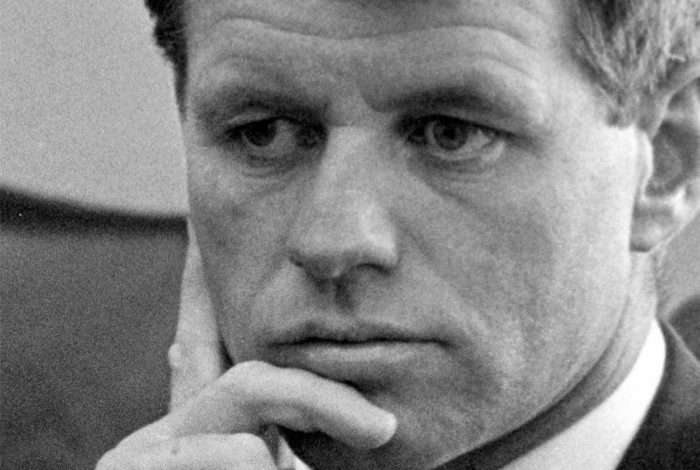 Among those doubting the official narrative is the victim’s second oldest son, Robert F. Kennedy Jr., who is now calling for a reinvestigation of the case. And because it’s not so easy to dismiss one of RFK’s sons as a “conspiracy theorist,” the Washington Post gave him a platform for his thoughts. WhoWhatWhy, on the other hand, has been asking questions about the assassination for a long time. It’s what we do. We might not always have the answers but we are not afraid to point out inconsistencies in the official narratives. While that might sound like a simple thing, it’s not. Swimming against the tide is difficult in a media environment in which the established outlets don’t like it when others rock the boat. Yet, over and over again, our willingness to ask questions and raise issues dismissed by others has turned out to be the right approach. For example, we are no longer the lone voice questioning whether we have gotten the full truth about the Boston Marathon Bombing. As is so often the case, we were portrayed as outliers simply for asking questions when some things about the attack didn’t seem to add up. But isn’t that what journalists are supposed to do? We believe it is our obligation to ask these questions — even if we are alone in doing so. We were also ahead of the curve on any number of issues that are now squarely in the mainstream. In 2015, for example, long before anybody had heard of Cambridge Analytica or was worried about Russian interference in the US election, we wrote a couple of stories about how a foreign power could hijack the vote and the potential influence of a Big Tech company, like Facebook or Google, on the presidential race. And before Michael Cohen became a central figure in the investigation of special counsel Robert Mueller, we published a lengthy article on him. These are just some of the examples in which time has been on our side — when we went out on a narrow limb that has now grown robust enough for others to see. Unfortunately, as a small nonprofit, time is also constantly against us, because we can only do what we do if our readers help fund our endeavors. We don’t have a billionaire owner or one deep-pocketed benefactor who can keep the lights on indefinitely. So, in a way, time is always running out for WhoWhatWhy and our fearless brand of investigation. That’s why we have to periodically remind you that we need your assistance to keep going, to keep asking questions and raising issues that are not yet on anybody’s radar because they are deemed too far-out by conventional media thinking. We know that, in time, others will catch up to us. But if you want to get a head-start on the truth, please consider helping us.